How to watch Kidnapping Mr. Heineken (2015) on Netflix Argentina! Yes, Kidnapping Mr. Heineken is now available on Argentine Netflix. It arrived for online streaming on October 7, 2017. We'll keep checking Netflix Argentina for Kidnapping Mr. Heineken, and this page will be updated with any changes. 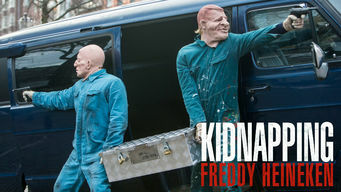 When beer magnate Alfred "Freddy" Heineken is kidnapped in 1983, his abductors make the largest ransom demand in history. Kidnapping the billionaire beer baron was easy. Getting their hands on the outrageous ransom demand, not so much.